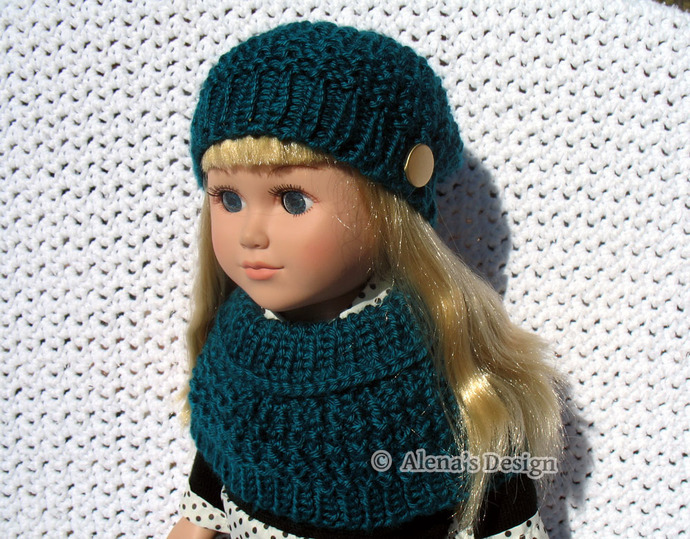 * Easily knitted, stylish Doll Hat Set. 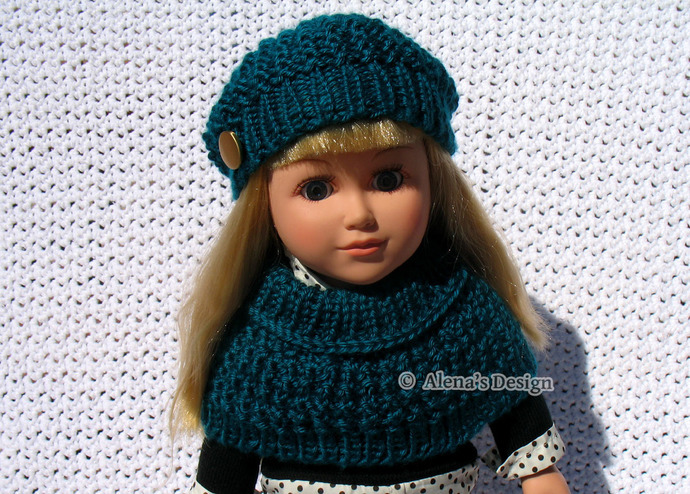 This pattern set is to make a Slouchy Hat and Collar for American Girl or similar 18 inch Doll. 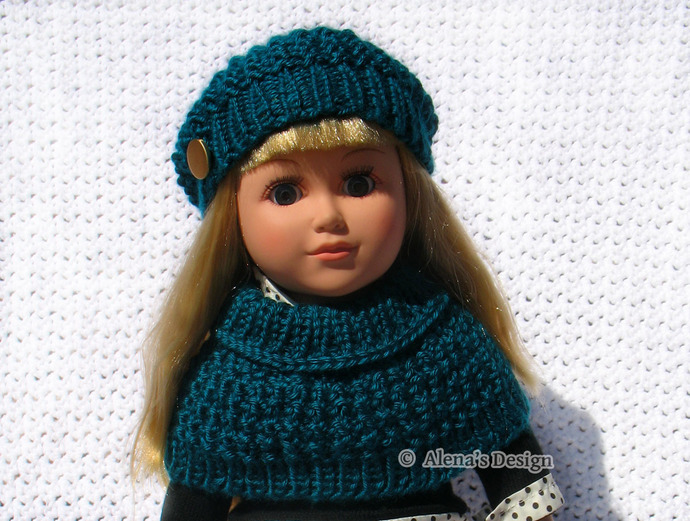 The hat and collar are worked in rounds from bottom to top. Button. Matching thread and needle. 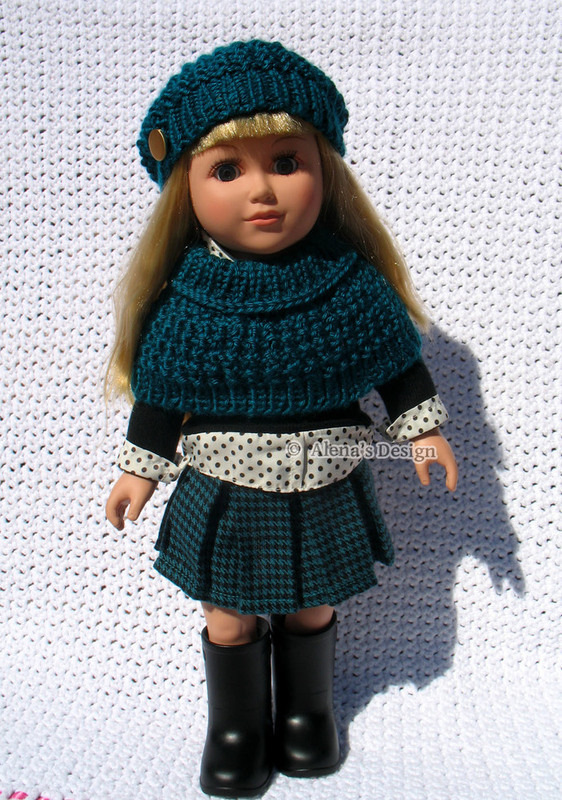 Yarn needle.